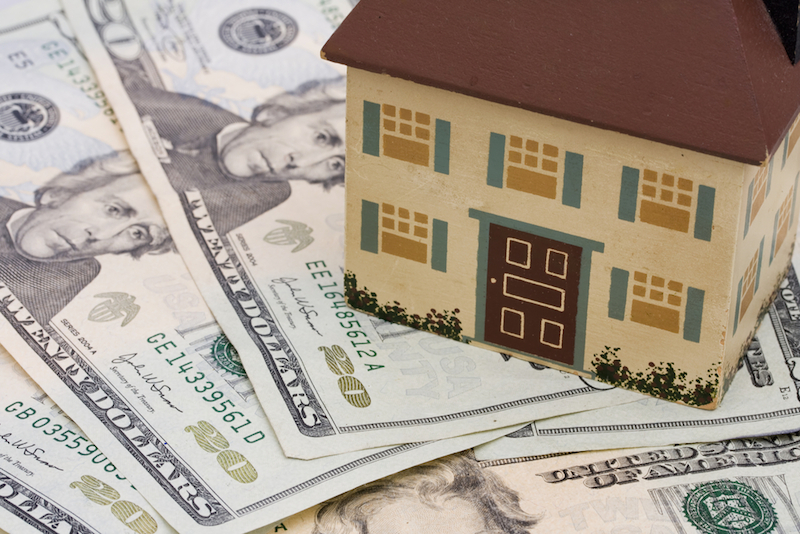 A cash-out refinance is best for home improvements and when you can lower your interest rate. Be careful using it to pay off credit cards; you're putting your home at risk. A cash-out refinance replaces your existing mortgage with a new home loan for more than you owe on your house. The difference goes to you in cash and you can spend it on home improvements, debt consolidation or other financial needs. You must have equity built up in your house to use a cash-out refinance. Pays difference of your mortgage balance and home’s value. Has slightly higher interest rates due to a higher loan amount. Limits cash-out amounts to 80% to 90% of your home’s equity. In other words, you can’t pull out 100% of your home’s equity these days. If your home is valued at $200,000 and your mortgage balance is $100,000, you have $100,000 of equity in your home. Let’s say you want to spend $50,000 on renovations. You can refinance your loan for $150,000, and receive $50,000 in cash at closing. Lower interest rates: A mortgage refinance typically offers a lower interest rate than a home equity line of credit (HELOC) or a home equity loan (HEL). A cash-out refinance might give you a lower interest rate if you originally bought your home when mortgage rates were much higher. For example, if you bought in 2000, the average mortgage rate was about 9%. Today, it’s considerably lower. But if you only want to lock in a lower interest rate on your mortgage and don’t need the cash, regular refinancing makes more sense. Debt consolidation: Using the money from a cash-out refinance to pay off high-interest credit cards could save you thousands of dollars in interest. Higher credit score: Paying off your credit cards in full with a cash-out refinance can improve your credit score by reducing your credit utilization ratio — the amount of available credit you’re using. Tax deductions: Unlike credit card interest, mortgage interest payments are tax deductible. That means a cash-out refinance could reduce your taxable income and land you a bigger tax refund. Foreclosure risk: Because your home is the collateral for any kind of mortgage, you risk losing it if you can’t make the payments. New terms: Your new mortgage will have different terms than your original loan. Double check your interest rate and fees before you agree to the new terms. If you’re doing a cash-out refinance to pay off credit card debt, avoid running up your cards again. Closing costs: You’ll pay closing costs for a cash-out refinance, as you would with any refinance. Closing costs are typically 3% to 6% of the mortgage — that’s $6,000 to $10,000 for a $200,000 loan. Make sure your potential savings are worth the cost. Private mortgage insurance: If you borrow more than 80% of your home’s value, you’ll have to pay private mortgage insurance. For example, if you have a mortgage of $100,000 on a home valued at $200,000 and do a cash-out refinance for $160,000, you’ll probably have to pay PMI on the new mortgage. PMI typically costs from 0.05% to 1% of your loan amount each year. A PMI of 1% on an $180,000 mortgage would cost $1,800 per year (read more about PMI here). Enabling bad habits: If you’re doing a cash-out refinance to pay off credit card debt, you’re freeing up your credit limit. Avoid falling back into bad habits and running up your cards again. A cash-out refinance can make sense if you can get a good interest rate on the new loan and have a good use for the money. But seeking a refinance to fund vacations or a new car isn’t a good idea, because you’ll have little to no return on your money. On the other hand, using the money to fund a home renovation or consolidate debt can rebuild the equity you’re taking out or help you get on a sounder financial footing.